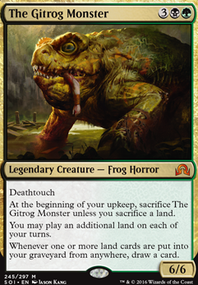 There was a line using the following: Hermit Druid , Deathrite Shaman , and Mogis's Marauder , giving the other two haste, tapping them to activate Druid, running no basics so you flip your deck into the graveyard, sacrificing all of them to flashback Dread Return to reanimate Necrotic Ooze . Then you use Wall of Roots ' ability on Ooze, Blighted Bat to give it haste, then activate Devoted Druid 's and Channeler Initiate 's abilities over and over for infinite mana, use Walking Ballista from the graveyard infinitely and win. One question, though: Why Wall of Roots over Sylvan Caryatid ? I feel like in most cases the hexproof and multicolored mana will be better than the extra toughness or immediate green mana. more ramp would be a good place to start, swapping spells like Kodama's Reach , Skyshroud Claim and Farseek in for the mana dorks. Those are best in decks that can really utilize them by either untapping or using something like Birthing Pod to turn them into better stuff later. 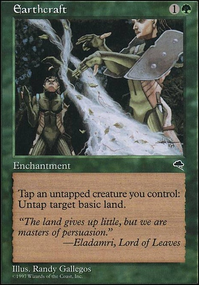 Along the same lines, you probably want 35-36 lands. Adding guys like Wall of Roots and Wall of Omens will help smooth out your draws while giving you some beefy blockers and can start attacking if you have something like Assault Formation out; definitely check out more walls/defender guys, they're always undercosted, have giant butts and usually a good etb effect. 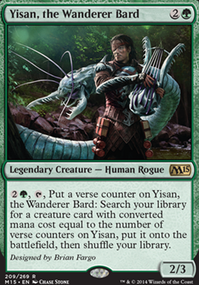 Zendikar Resurgent , Mirari's Wake , Soul of the Harvest and Beast Whisperer could all easily find a spot here as well, extra mana and lots of card draw is great! Good luck! Fog Bank , Guardians of Meletis , Wall of Mist , Wall of Roots , and Wall of Vines are all lackluster defenders. Jungle Barrier , Jeskai Barricade , Sylvan Caryatid , and Carven Caryatid would be better choices in my opinion. I cut the 2 Motivators and one Scryb ranger which gives me 3 open slots. Im considering cutting one Wall of Roots or the second Kiki-Jiki, Mirror Breaker (should i keep 2 kiki in case i draw one?). Any suggestions what to do with the 3-4 slots? 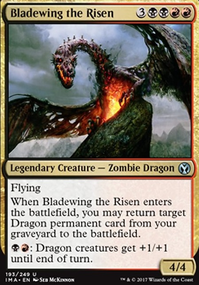 I considered Path to Exile, but being a combo deck there is not many creatures i fear. 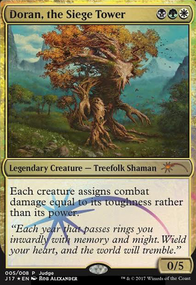 I also considered some toolbox creatures, but i cant see why i would pod to a Reclamation Sage instead of the kiki combo.